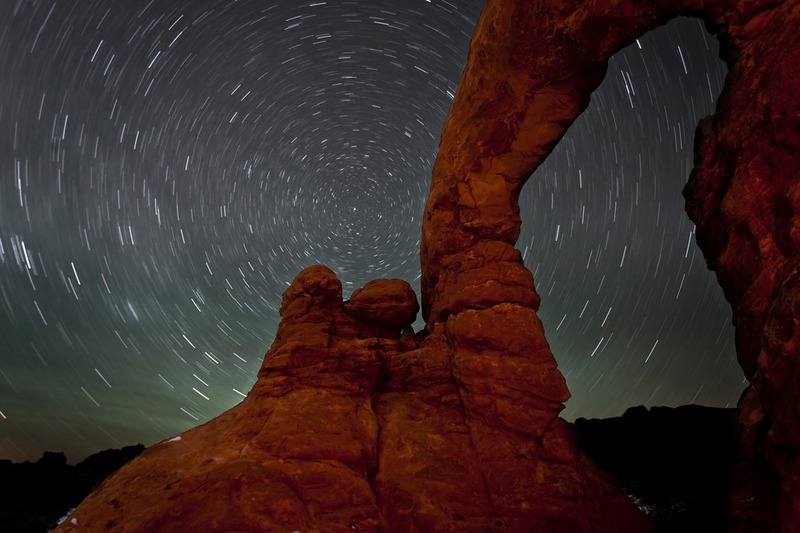 If you’re camping in Utah this summer, there’s a good chance Arches National Park is on your list of things to do. If not, it’s definitely a destination to consider visiting if you’re near by. Jaw dropping sights, crazy rock formations, and awesome hiking are just a few of the things you have to look forward to here. A photographer’s dream, Arches National Park offers great options for both short and long hikes as well as beautiful scenic drives and historical points of interest. If Utah is on your summer camping list, don’t miss out on these 6 breathtaking locations in Arches National Park. Delicate Arch is one of the most popular arches in the world. If you’ve seen images of Arches National Park, they’ve likely included this beauty. At around 46 feet high and 32 feet wide, this freestanding arch can be viewed from afar at Lower Delicate Arch Viewpoint. If you want to get up close and personal (and snap some great photos) take the 3-mile round trip hike to the arch. Keep in mind this trail climbs 480 feet so be prepared for a challenge. Because this is an extremely popular spot for photographers, especially around sunset, bring along some patience and take in the great views. 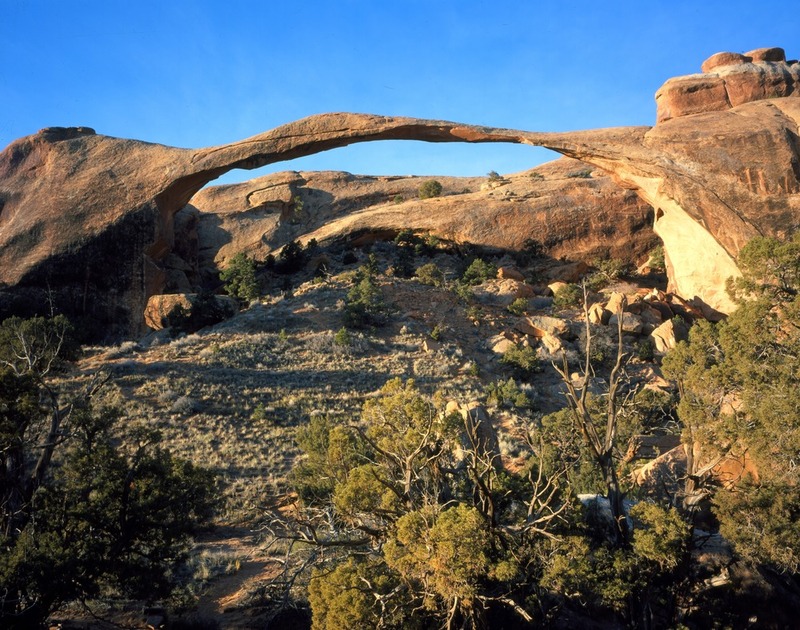 Located in the gorgeous Devils Garden area of the park, Landscape Arch is the longest arch in North America. The hike to Landscape Arch is an easy 1.6-miles roundtrip on a relatively flat surface. To add some difficulty to this adventure, continue on towards Double O Arch. If you stay in this area for an afternoon, there are tons of awesome spires, arches, and narrow rock walls to explore. 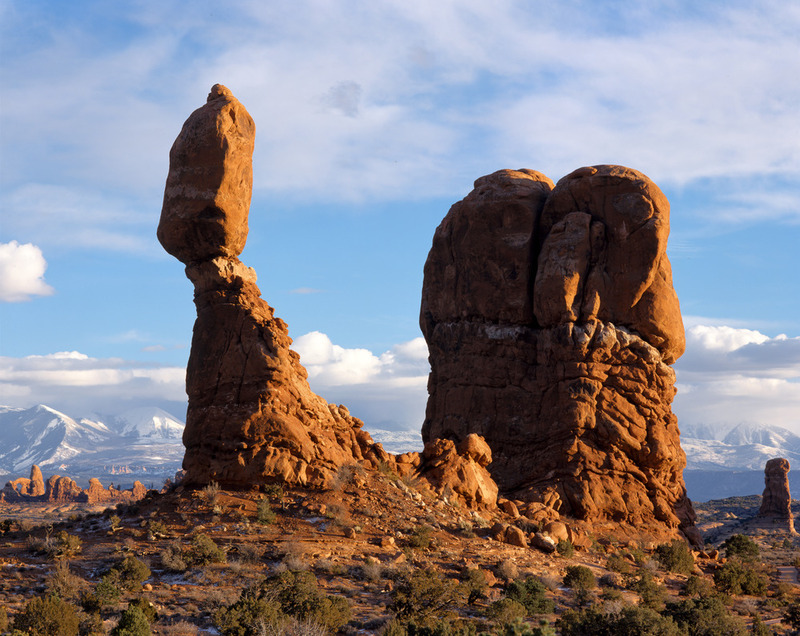 This gorgeous behemoth is one of the most iconic formations in Arches National Park. Standing at an impressive 128 feet tall, this massive feature can be seen from the park road, and at sunset, the formation becomes bathed in a beautiful deep red-orange. If you love stargazing and night photography, this is the ideal spot to spend the evening. If you’re looking for aches, The Windows section is where you want to be. This scenic area is home to the popular Double Arch (the tallest arch in the park), Turret Arch, North Window, and Elephant Butte, just to name a few. You can reach this area of the park by car, so if you don’t have a lot of time, you can take in the views from your vehicle or explore one of the many short trails. The .5-mile trail to reach Double Arch is great for families and those with limited mobility. Love adventure? The Fiery Furnace is a brilliant maze made up of narrow passageways. Scramble over boulders, navigate narrow ledges, discover hidden arches, and marvel at the astonishing reddish glow that takes place at sunset. You need a permit to venture into the Fiery Furnace, and if you’re looking for more information on this area, you can sign up for a ranger-led tour. History buffs won’t want to miss out on Wolfe Ranch, settled in 1898 by John Wesley Wolfe and his son Fred. Their original rustic cabin was replaced in 1903 at the request of John’s daughter and her family. 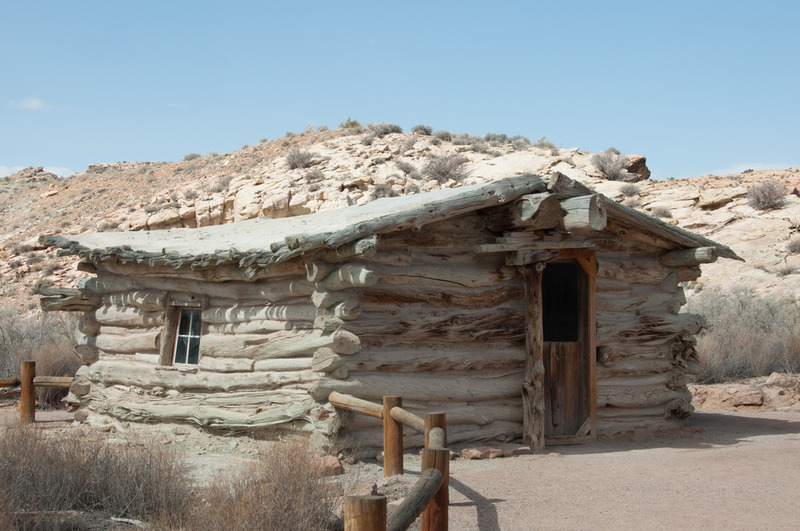 This fancier one-bedroom cabin still stands at Wolfe Ranch today. Prior to the Wolfes, many American Indian tribes such as the Zuni, Hope, and Ute camped and traveled in this area. Ready to explore the park? 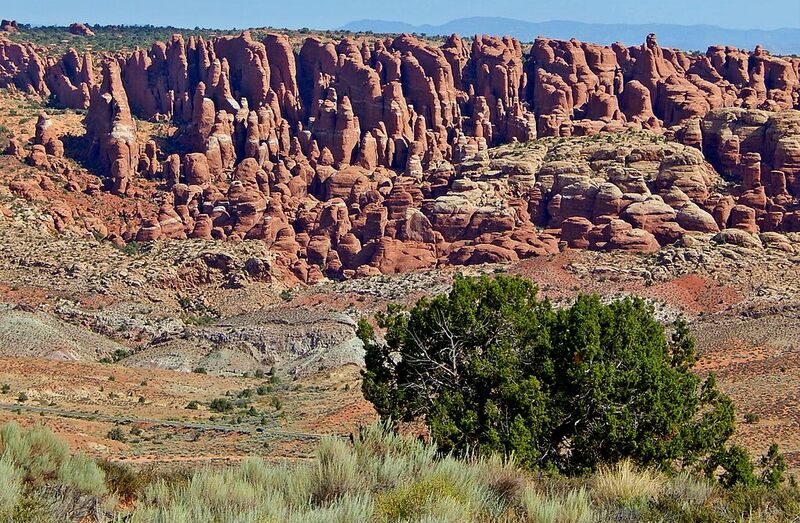 Discover Utah campgrounds. 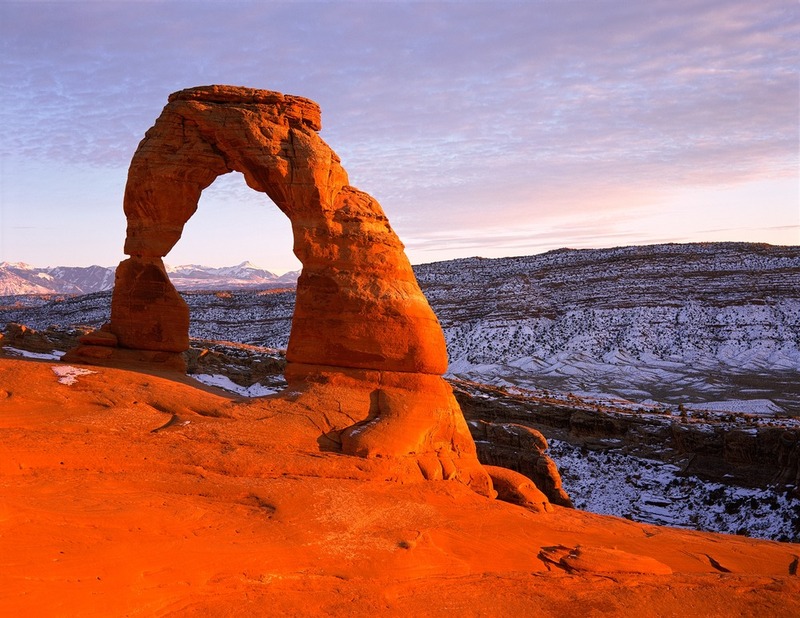 Want to see more breathtaking Utah destinations? Check out these 10 beautiful places in Utah that need to be on your bucket-list.